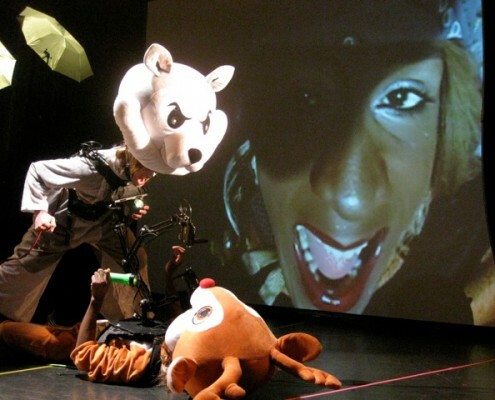 An action media performance exploring futureness, survivalism, revolutionary movements and contemporary rituals, the performance examines the notion of sacrifice to make space for a new beginning. SOS began as an investigation into the nature of sacrifice within a supersaturated, hyper-acquisitive society. 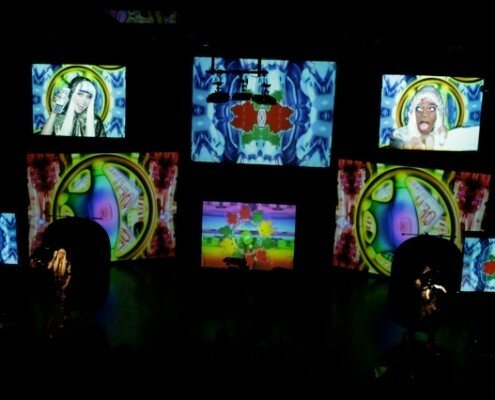 Set in a forest of technology the performance unwinds through overlapping abstract narratives. Animals lost in their native habitat turn on each other in a hopeless contest for survival. Revolutionaries broadcasting from a skeletal studio implode under the pressure of their own rhetoric, and technology addicts enmeshed in a self-created universe seek escape from a tightening web of perception. 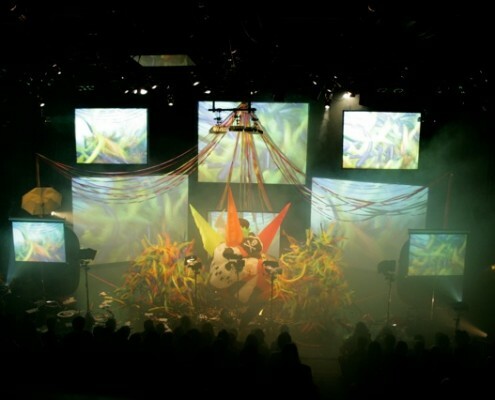 As these environments collide and overturn, the stage transforms into a celebration of chaos verging towards the freedom of annihilation. 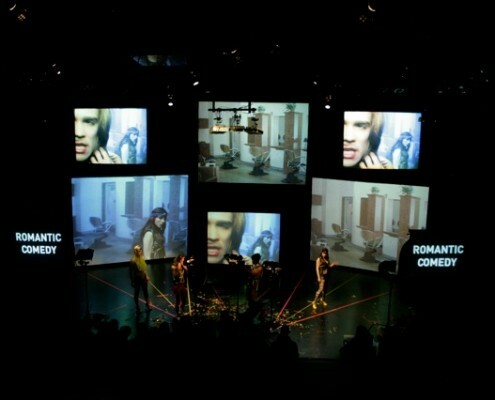 SOS continues and advances Big Art Group’s Real-Time Film technique, a conceptual model conflating performance, television and movies. 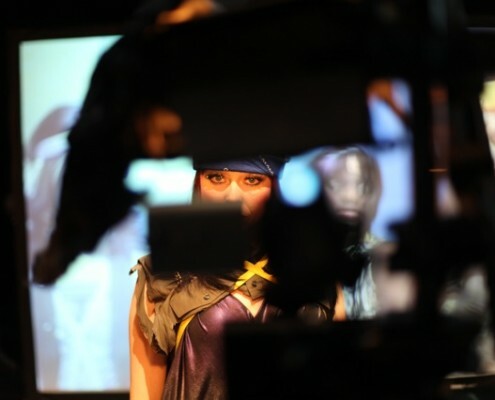 Using live performance and video, Real-Time Film plays cinematic composition and controlled perspective against the verity of TV broadcast and the immediacy of live performance. 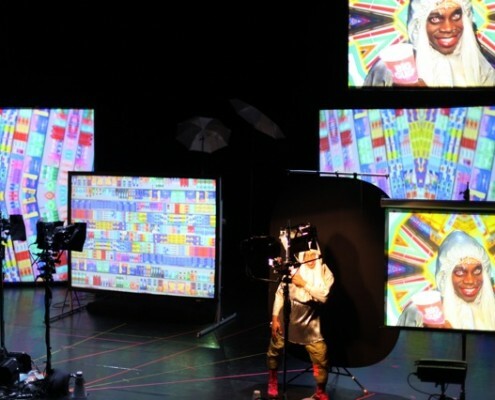 In SOS, a multi-camera and multi-screen forest of technology located within a landscape of refuse gives the audience a corrupted panoptic view of colliding narratives. 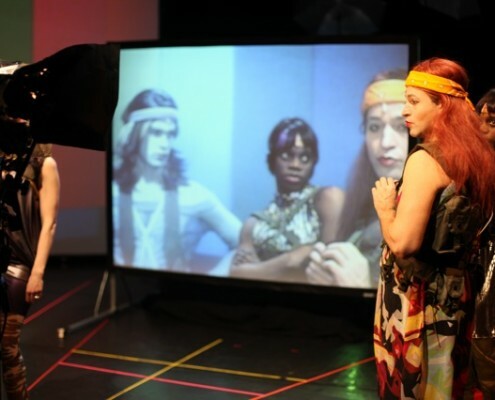 Unlike traditional theatrical performance, Big Art Group’s extended mediated performances reposition viewers into active editors, challenging audience members to problem-solve complex issues of sexuality, race, narrative and truth as a theatrical mirror to the process of navigation through contemporary society. 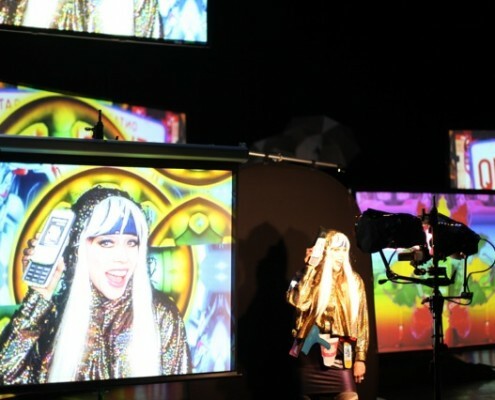 Big Art Group, makes a touchstone out of synthesizing media elements. 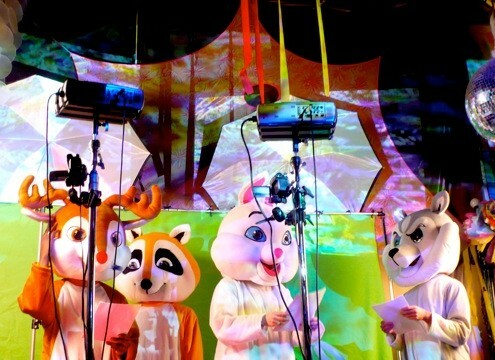 SOS, their 2009 show at the Kitchen, offered a spiraling series of hallucinations of consumer catastrophe—simultaneously humorous and apocalyptic.